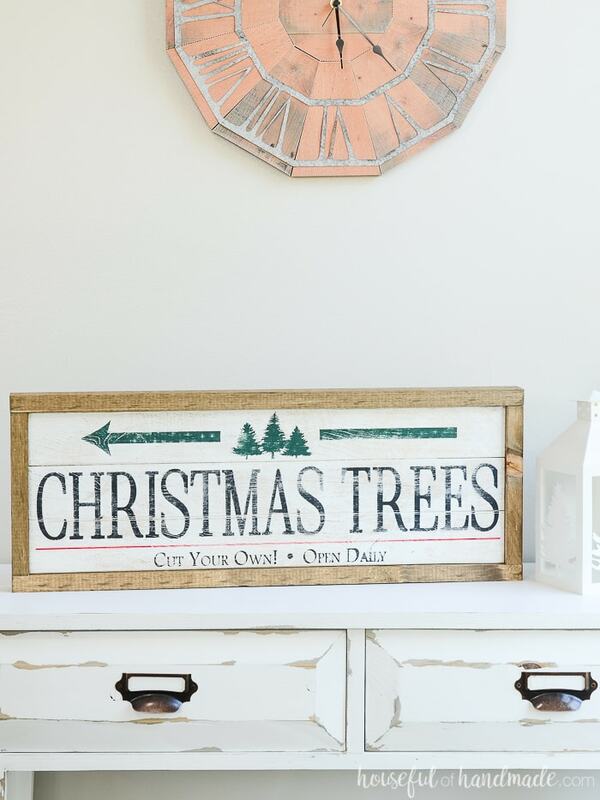 Build the perfect home decor for fall and Christmas with this DIY Kit! 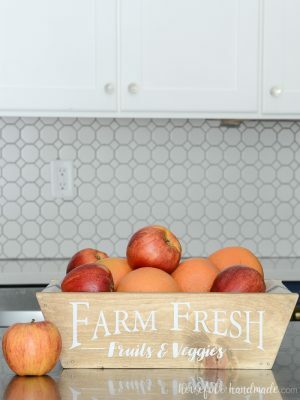 Everything you need to build this double-sided wood sign. It’s 2 signs for the price of one! 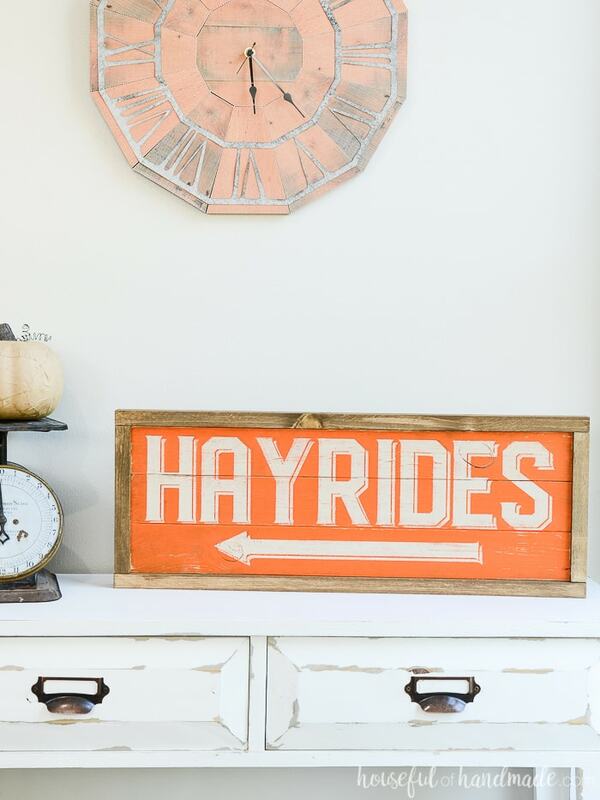 Sign is great for mantels, shelves, porch decor and more! Assembled dimensions: 23 1/2″ wide x 9″ tall. DIY kit includes supplies needed to build your own sign. You will not be sent the assembled and finished product. No power tools or expensive craft machines? No problem! Take the stress out of crafting with our DIY Kits for adults. 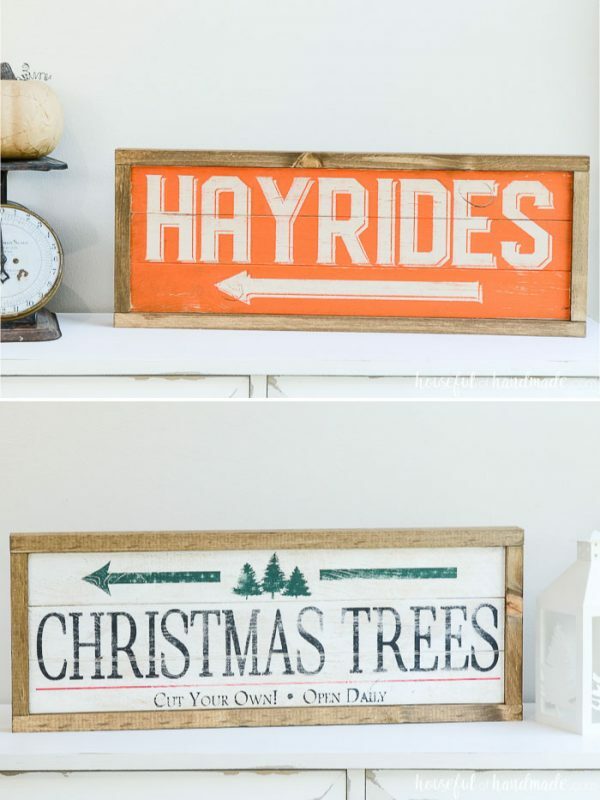 This DIY Kit for the Double-Sided Wood Sign has almost everything you need to create the perfect fall & Christmas home decor. You just need a hammer and whatever paint or stain colors you want to customize it for your home. DIY kits also make the perfect gift for the crafter in your life. All the supplies are ready to go so they can build their own home decor without expensive tools. Want to host a craft event? These DIY kits for adults are the perfect solution. No need to spend all you time preparing, just order and have fun with your friends. 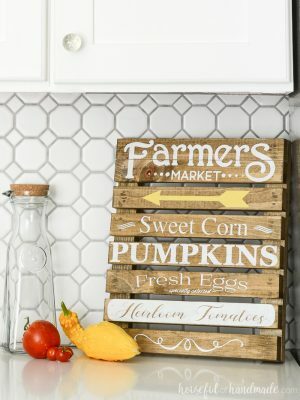 Also includes a link to a video tutorial to walk you through every step of the process to ensure you succeed in making your own Farmers Market Sign! Not included in the kit: hammer, paint or stain, paint brushes, wood glue or sand paper (optional).